• FMT400 series reusable temperature probes are fully compatible with YSI 400 series electronic medical thermometers and temperature modules. 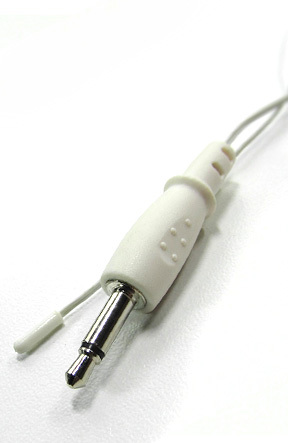 FMT400 series reusable temperature probes are available for skin (surface) and central (rectal) applications. • FMT400 surface and central temperature probes are suitable for use with adult and pediatric patients. 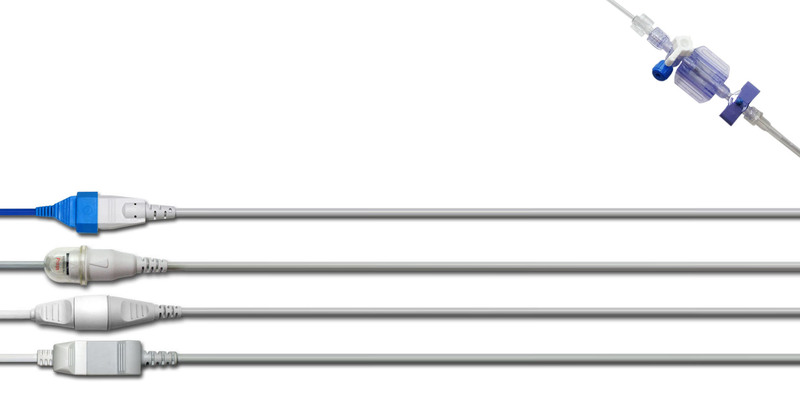 • High Accuracy - FMT400 series temperature probes are accurate to ±0.1 °C between 32 °C and 42 °C. 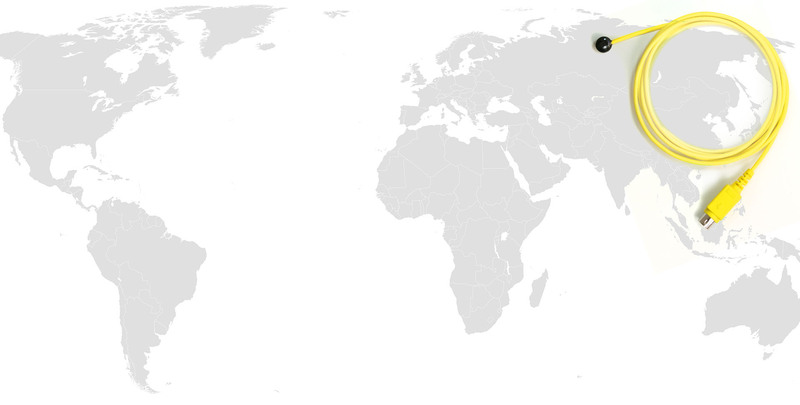 Accuracies are ±0.2 °C between 0 °C and 70 °C. 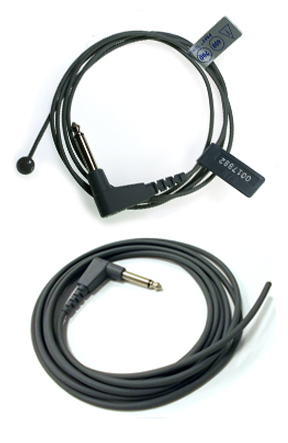 • Interchangeability - FMT400 Series temperature probes are interchangeable with every other probe of the same series. • Traceability - FMT400 Series reusable temperature probes have part, lot and serial numbers to ensure equipment compatibility and product traceability. • High Durability - Molded construction and strain relieves of FMT400 series reusable temperature probes provide long product life. • FMT cuffs and hoses meet the requirements of the MDD 93/42/EEC&MDD 2007/47/EC and CE marked. 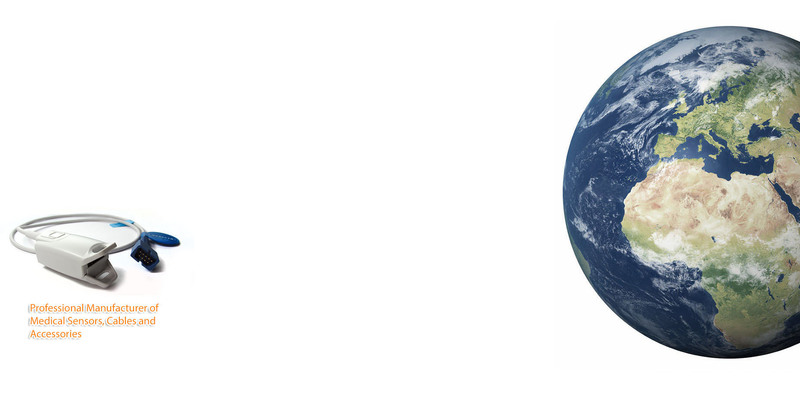 • All FMT Products are Latex Free. • FMT disposable medical temperature probes offer a cost-effective, disposable patient temperature monitoring solution to add to your hospital’s infection control program. The product helps to reduce the risk of cross contamination between patients. • FMT disposable medical temperature probes are compatible with the majority of manufacturers of incubators, warmers and patient monitors. 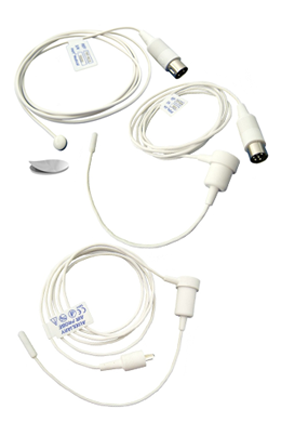 • YSI400 compatible disposable medical temperature probes come with Molex Style or 3.5mm Phone Jack connectors. 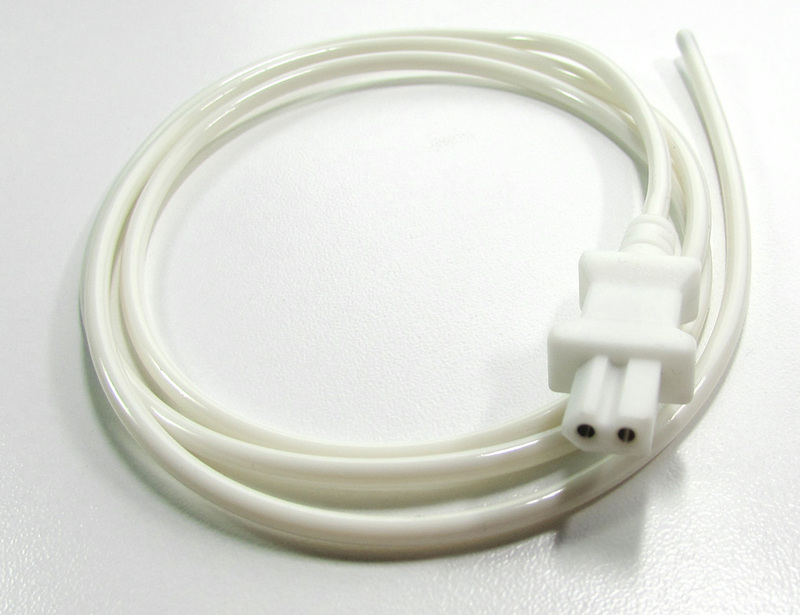 Disposable temperature probes for infant warmers and incubators have different connectors compatible with original manufacturers. 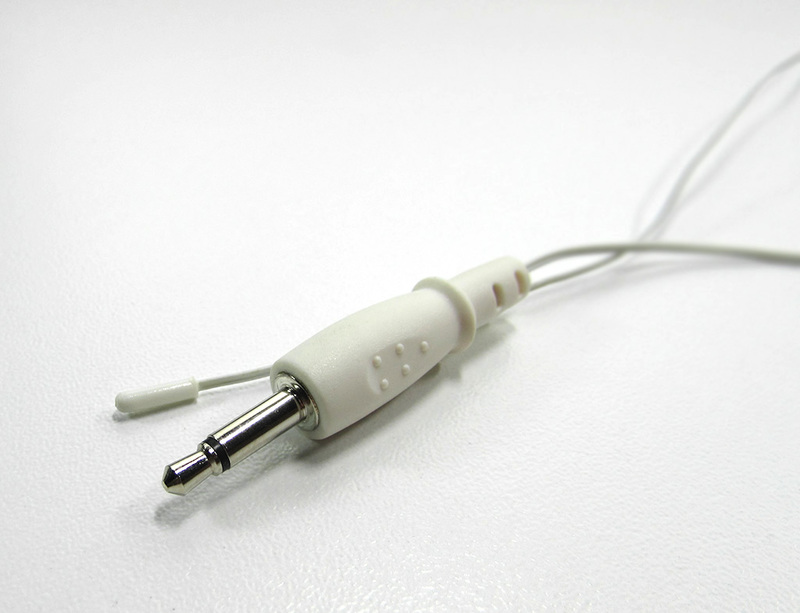 The distal end of the temperature probe is terminated with a plastic insert molded, moisture resistant connector. • FMT disposable medical temperature probes are interchangeable and provide ±0.1°C accuracy from 25°C to 45°C per EN 12470. • FMT disposable medical temperature probes are made of medical grade PVC, DEHP and Latex free. • FMT disposable medical temperature probes are single use, each individually packaged in a sterile pouch with a 3-year shelf-life. • FMT – INC Series replacement temperature probes are fully compatible with Air Shields – Hill Room, Drager, Ohmeda-Ohio, GE-Ohmeda, Atom Medical and Ningbo David Medical infant care incubators, infant warmers and related infant care products described in the Medical Temperature Probes Product Document. • High Accuracy - FMT–INC Series temperature probes are accurate to ±0.1 °C between 32 °C and 42 °C. 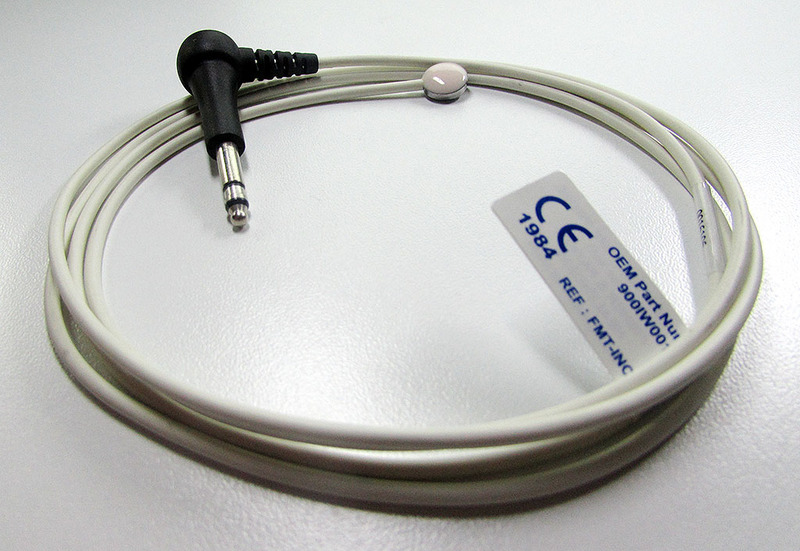 • Interchangeability - FMT–INC Series temperature probes are interchangeable with every other probe of the same series. • Traceability - FMT–INC Series reusable temperature probes have part, lot and serial numbers to ensure equipment compatibility and product traceability. 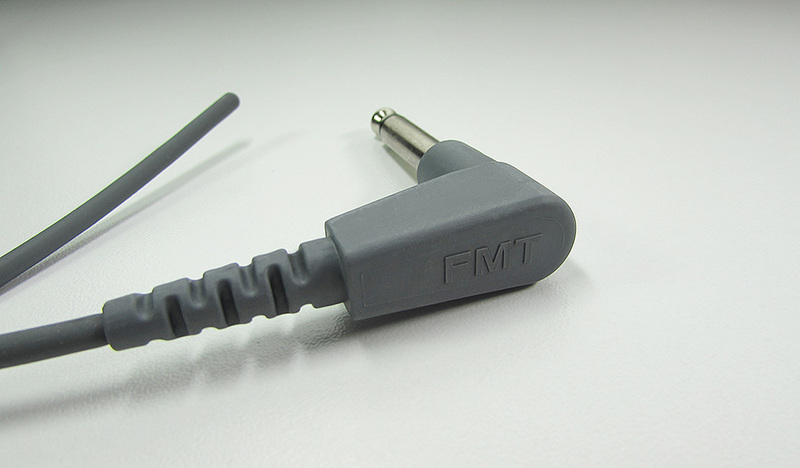 • FMT - INC series temperature probes can be used with FMT-PC26 (Ø26 mm) and FMT-PC30 (Ø30 mm) disposable probe covers. • All FMT probes and cables are Latex free. 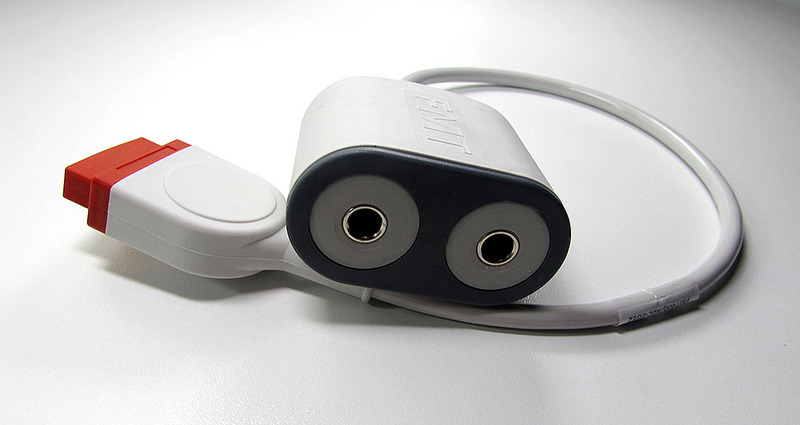 • FMT adaptor and extension cables allow connecting disposable temperature probes to different patient monitors with different temperature ports. 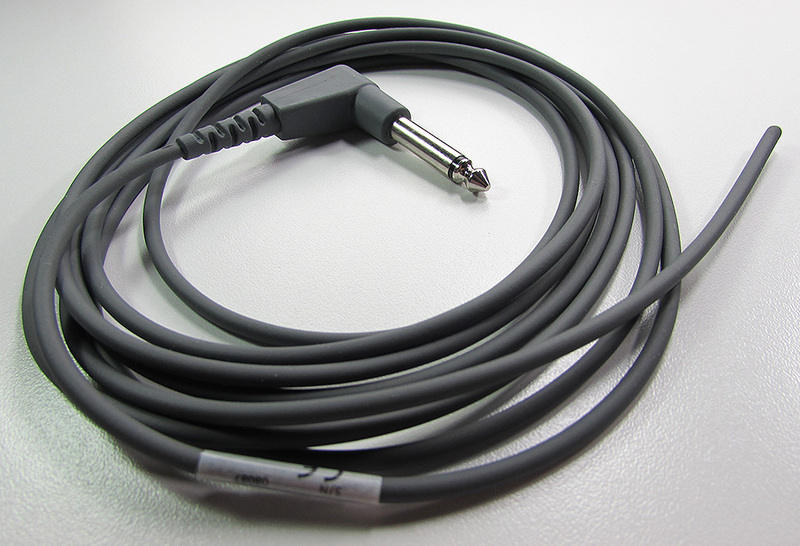 They are also used for expanding the length of reusable probes or connecting the standard reusable temperature probes with 6.35 mm phone plug on the patient monitors with different sockets. 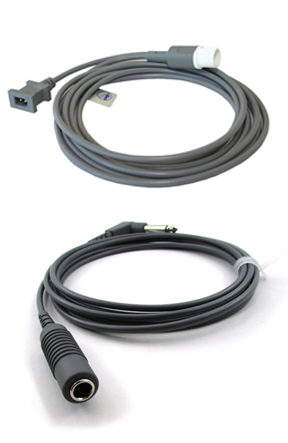 • Adapter and extension cables are compatible with YSI 400 series and equivalent temperature probes. • FMT also provides special adaptor and extension cables for incubators and dual use of temperature ports of patient monitors. • The standard length of FMT adaptor and extension cables is 2.4 m. Other lengths are available upon request. • All cables are shielded and durable, providing secure transmission of temperature signal to the patient monitor and allowing a complete wipe down disinfection after each use.